Create a complete student engagement strategy to help every student thrive. 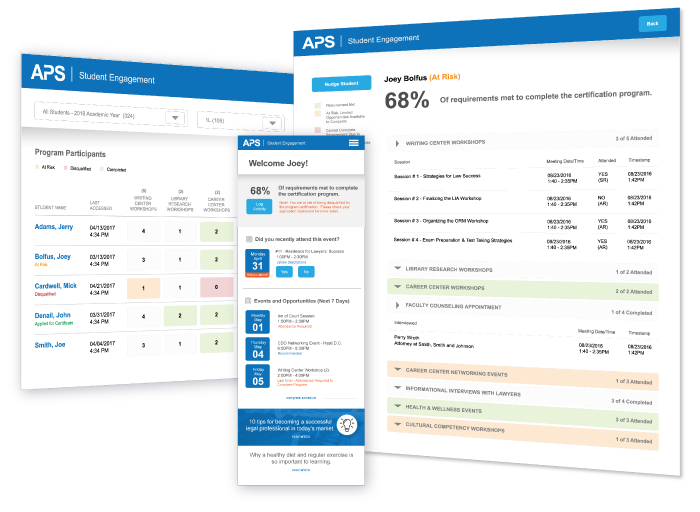 By leveraging data from various sources the APS Student Engagement Application creates a comprehensive, holistic profile of each student. 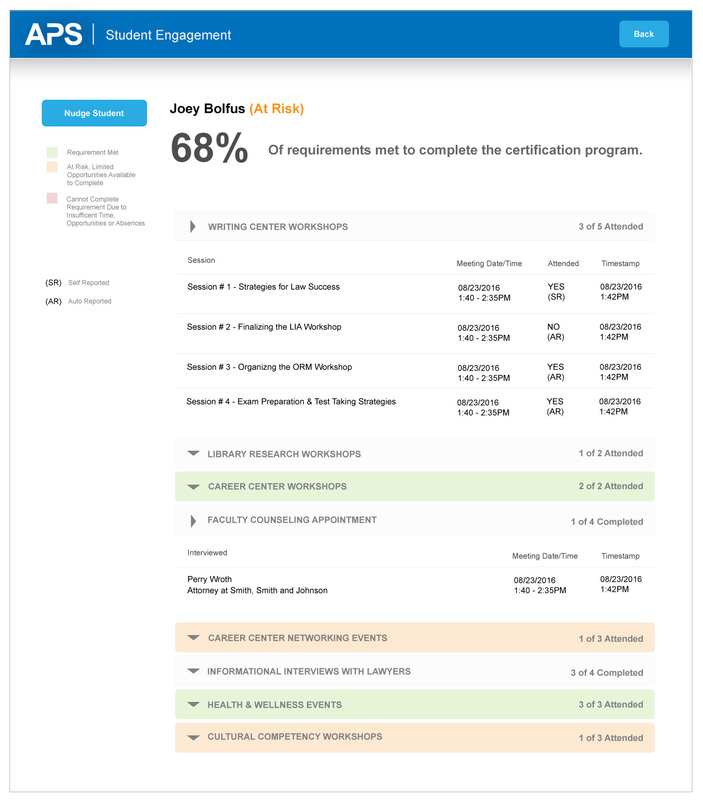 The application helps Academic Success, Student Engagement, and BarPrep programs identify those students who might be at-risk of academic alert, probation, or attrition earlier in the process than traditional methods. Just as importantly, administrators will be able to identify factors that lead to student success. 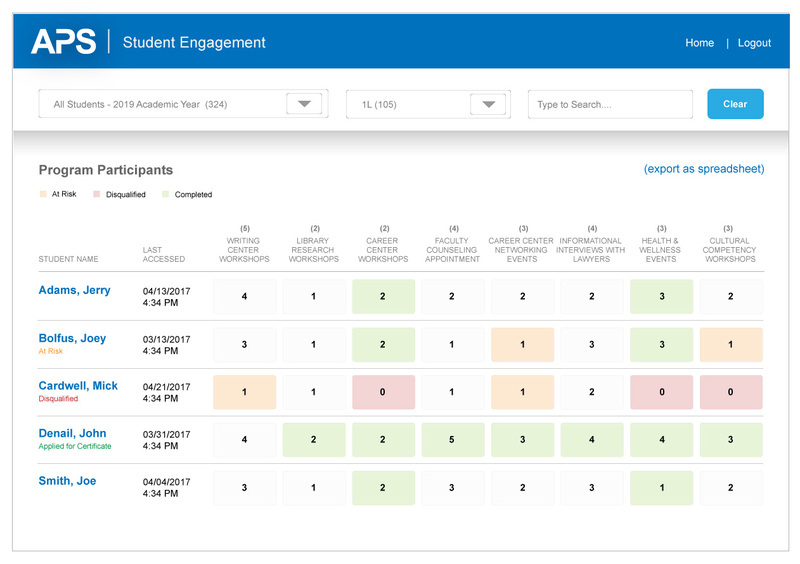 Through the application’s reporting and analytics, advisers gain insight to determine the factors that both support and undermine student success. This insight through data allows schools to allocate resources more effectively.